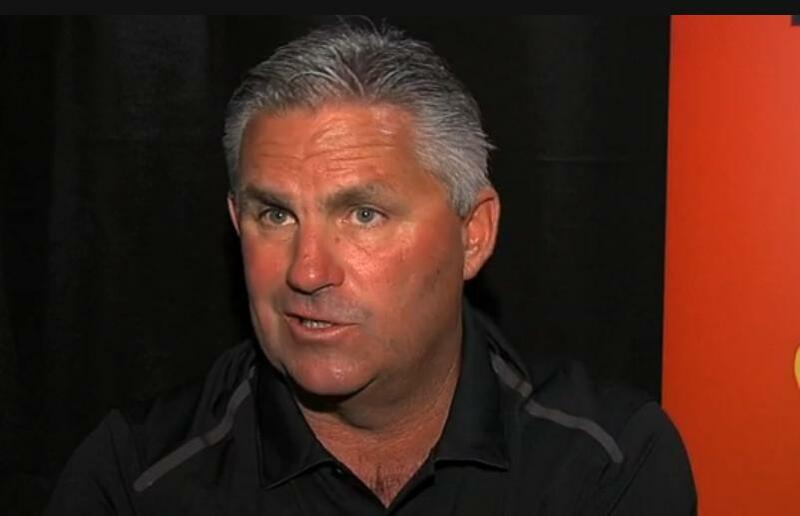 Kevin Towers did a lot of things with his weekly show on KTAR 620AM in Phoenix on Tuesday. He showed why open discussion of baseball’s unwritten rules from an insider’s perspective can a bad idea. He illustrated the gap between a normal response to a situation, and a baseball response. And, in case any doubt remained, he proved conclusively that he holds some old-school opinions when it comes to this kind of thing. In discussing the team’s lack of retaliation last season when provoked—on the same day that he fired D-Backs pitching coach Charles Nagy, no less—Towers intoned that he expected more from his pitchers when it comes to keeping the opposition honest. Towers referenced his team’s 8-1 loss to the Dodgers on Sept. 9, specifically the behavior of some Los Angeles players as they celebrated a six-home-run game in their dugout. It did not make him feel respected. Because, you know, in his sport, justice is meted out by throwing baseballs at a guy. He cited an instance in which the Padres retaliated for a batter hit by Arizona closer Heath Bell by throwing inside to Aaron Hill. Ultimately, it’s a stretch for an old-school baseball guy to expect that most people outside the game will understand his perspective on the subject (especially if he devolves into prattle about throwing knockdown pitches from the stands). One of Towers’ problems, of course, is that even the people within his own organization didn’t seem to understand him. He wasn’t pleased with Kirk Gibson’s lack of response when players were thrown at this season, and the topic played a role in his dismissal of Nagy. The idea of retaliatory pitches can be debated all day and into tomorrow, but Towers’ comments planted him within the baseball mainstream. The unwritten rule he broke was in talking about it in anything other than platitudes to begin with.